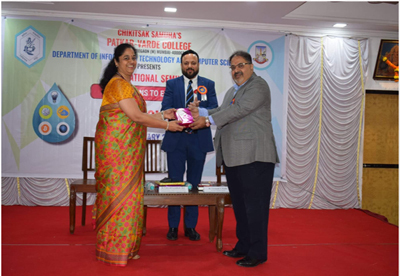 On January 19, 2019, the Departments of IT and Computer Science jointly organised an International Seminar on “Research in IT: Innovations to Empower”. 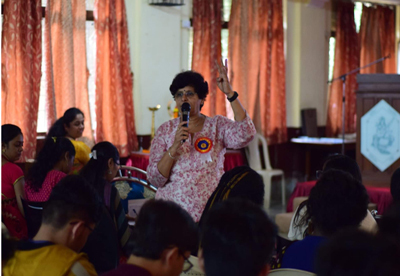 The objective of the Seminar was to create awareness of the new technologies available that could prove beneficial for the future career growth of Students. 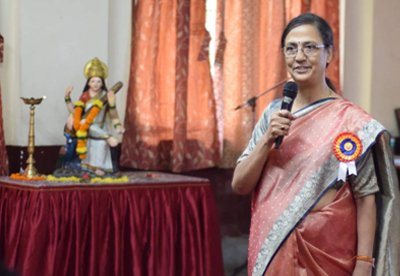 The speakers were Dr. Vishwesh Laxmikant Akre (Assistant Prof., HCT, Dubai), Dr. Urvashi Rathod (Director, Symbiosis Centre for Research & Innovation, SIU, Pune), Dr. Suresh A. Shan (Head — Information Technology Solutions, Mahindra Finance) and Dr. Seema Shah (Chairperson, MPSTME — NMIMS University, Mumbai). Dr. Akre spoke on “Smart Cities Framework”,and shared some amazing case studies of smart cities in Dubaithat employ a futuristic scope and vision. Dr. Rathod discussed some aspects of research in the domain of IT under the topic, “Open Research Avenues in Information Technology”. Dr. Shan spoke on “Delving into Cloudonomics”, where he discussed the working of cloud computing technology and theimplementation of cloud in business. 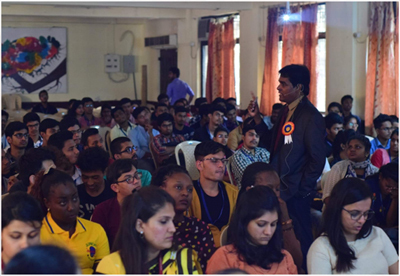 Dr. Shah’s topic,“Emerging Trend in Computer Systems - BLOCKCHAIN”, helped the audience to understand the basics of block chain technology and its need in the world of cryptocurrency. 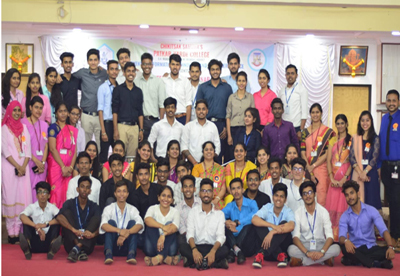 The Seminar was attended by nearly 185 people, which included participants from the College Faculty, Students and Industry Professionals. The feedback from the participants, on the sessionsand the arrangements, was excellent. 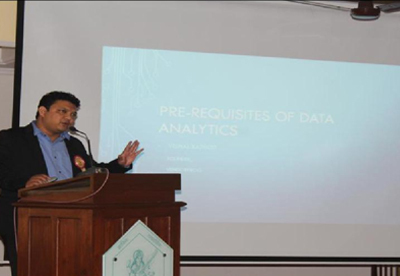 Department of Information Technology and Computer Science organized an International seminar, titled “Research in IT: Aspects of Data Analytics” on 17th February 2018. 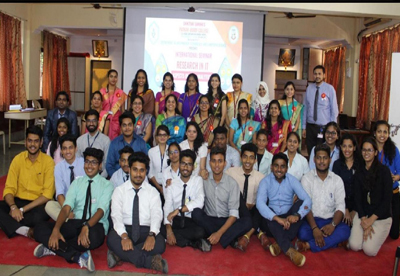 The objective of this Seminar was to create awareness on different domains of Data Analytics such as tools for data analytics, big data analytics, cloud ERP and many more for the International, Nation-wide UG & PG students, Teachers and IT industry professionals. 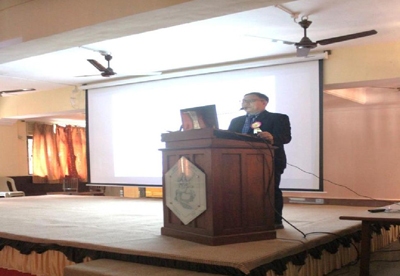 The seminar was witnessed by overall 194 Participants- including 32 Teachers, 154 Students and 8 foreign students. 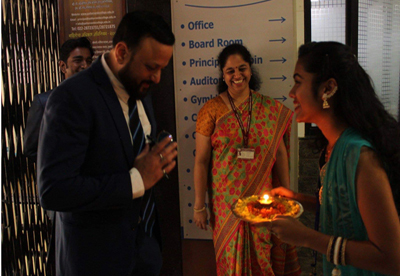 1.Mr.Vishal Rathod,Founder,CEO at Vendor Frog.Mr.Vishal Rathod Chief Guest and keynote speaker invited for delivering session on “Prerequisites of Data Analytics”. 3. 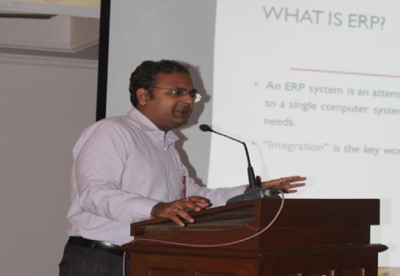 Mr. Sachin Shirke,Project Manager for Cloud HCM,Capgeminiinvitedfor delivering session on “Cloud ERP”. 4. 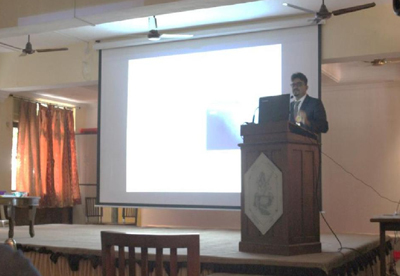 Mr. Nery Melwyn Nazareth, Project Leader, TickerPlant Ltd. for delivering session on “Implementing Big Data Analytics”.